While the entire world is extolling graphene as a wonder material, scientists, working at the University of Texas at Austin, have developed the world’s first silicene-based transistor. 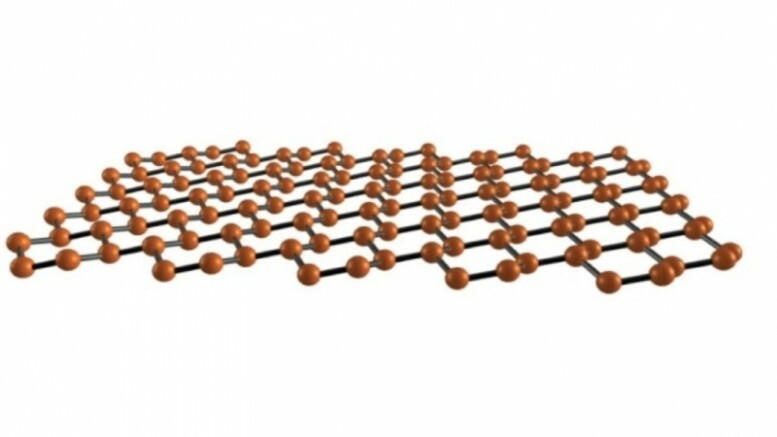 Identified through computer models, almost a decade before graphene was first isolated, silicene is a one-atom-thick allotrope of silicon. Despite its impressive electrical properties, silicene is widely believed to be extremely difficult to work with, under practical conditions. 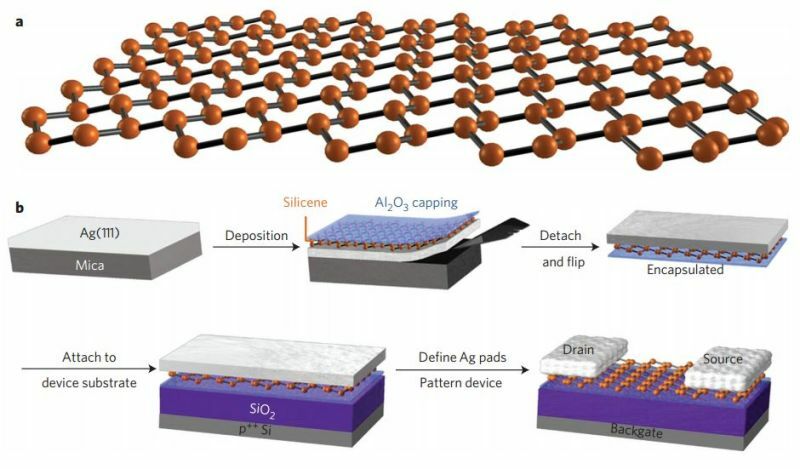 Apart from introducing a new player in the playground of 2-D materials, silicene, with its close chemical affinity to silicon, suggests an opportunity in the road map of the semiconductor industry. The major breakthrough here is the efficient low-temperature manufacturing and fabrication of silicene devices for the first time. In order to build the silicene transistor, the researchers first vaporize silicone, and then allow it to condense on a thin sheet of silver. The precipitate, thus deposited on the film, is two-dimensional silicene. Following this, a synthetically-produced, protective layer of aluminium oxide is placed atop the silicene substrate. The encapsulated material is then set, silver side up, onto a silicon dioxide plate. This technique produces a device containing two electrodes, that are in turn separated by another material. 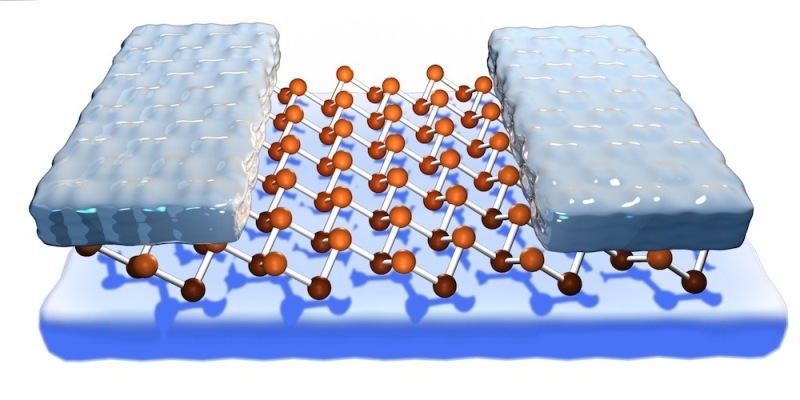 So far, the scientists have been able to construct and test the silicene transistors in vacuum. Although the technology is not yet suitable for real-world applications, the scientists believe that the breakthrough is a step towards faster, more efficient electronics. Additionally, the research confirms the similarity, in electrical properties, between graphene and silicene. Both the materials permit the passage of electrons, without any barriers. The research, detailing the process of developing silicene transistors, was recently published in the Nature Nanotechnology journal.